Neighbor Policy. That mission was lead by Walt Disney, who, along with a group of now historic animators, became so fascinated with the people and cultures they visited that 2 feature films were released which reflected the impact upon Disney and the animators. 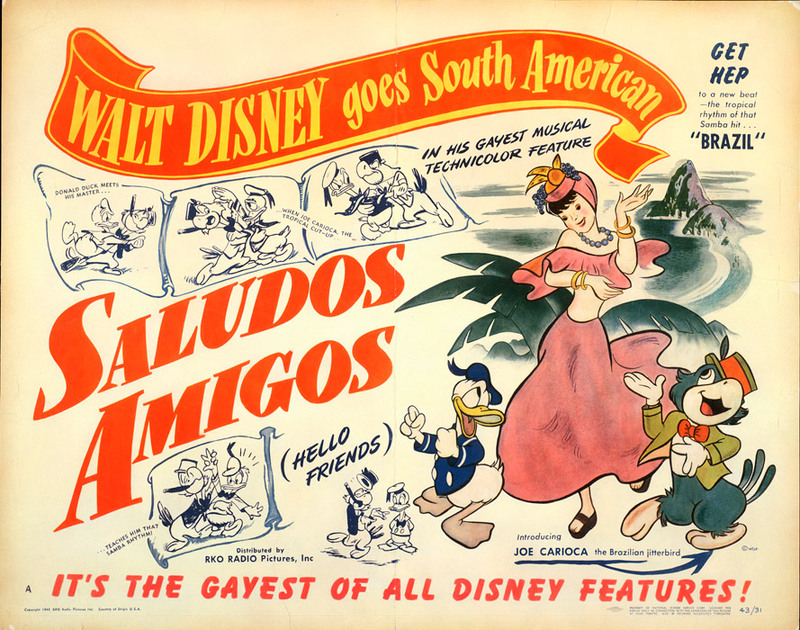 The first film, “Saludos Amigos”, was a collection of 4 animated shorts interspersed with live action film from the areas that were visited. That film was released on August 24, 1942. Here is the film in its entirety. This entry was posted in cartoon, Gothic Disney and tagged Franklin D. Roosevelt, GoodNeighbor Policy, South America, Walt And El Grupo, Walt Disney. Bookmark the permalink.